Remember when the Millennium Falcon landed inside of a Space Slug in The Empire Strikes Back? 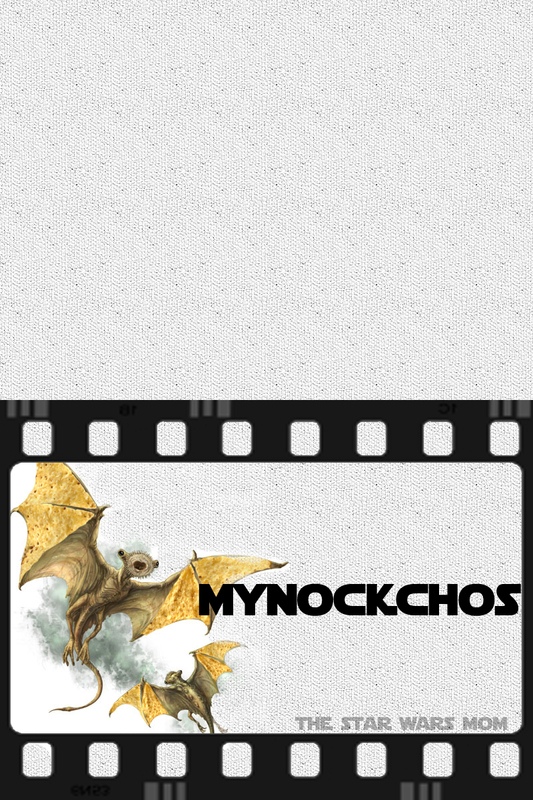 The crew encountered a pack of Mynocks and the rest is history. 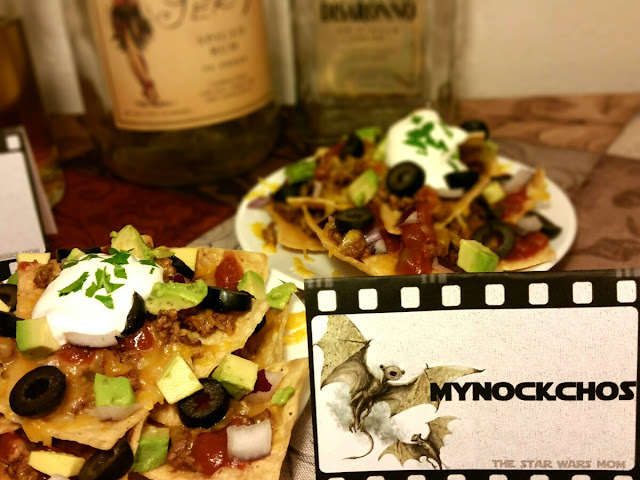 I have transformed a couple of Mynocks into MyNockchos AKA My Nachos. 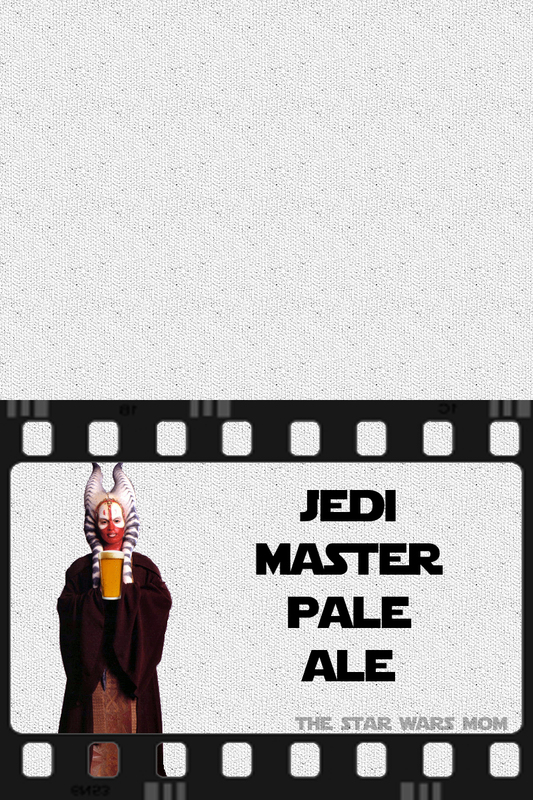 Even the wings are made with corn tortilla chips on the free printable Star Wars party food label. I am not including a recipe for Nachos, as most of us know how to make them, just the printable food label. 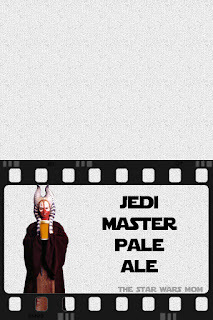 And in the spirit of the Superbowl, which I will not be watching, we also have a label for Jedi Master Pale Ale (Ale from the Light Side). But for you Star Wars fans who will be watching the Superbowl, I made this photo shoot themed for you. 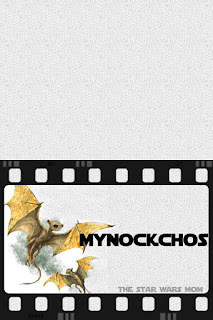 Both of the free printable labels are below. 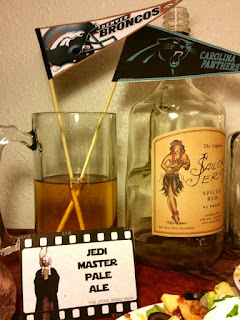 And of course, if you click on Party Planning Tab above this post, you can find many more Star Wars party food and drink labels.